"Straight Outta Compton" director F. Gary Gray is helming "Fast 8." Actor Vin Diesel attends a special screening of "The Last Witch Hunter" at the Loews Lincoln Square on Tuesday, Oct. 13, 2015, in New York. Who needs a "Fast 8" when you can have "Fast 8," "Fast 9" and "Fast 10"? 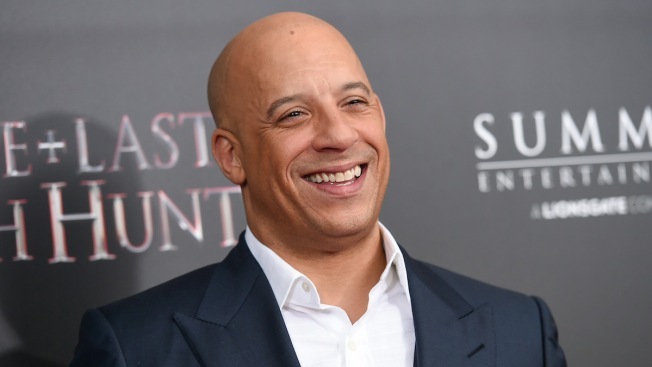 Vin Diesel took to Instagram to confirm what we've all been waiting for – "Fast and Furious 8." But that's not all he did. The star also revealed that there would be an entire trilogy, rounding out the franchise to an even 10. "Fast 8" is set for release April 14, 2017, while "Fast 9" and "Fast 10" are hitting theaters on April 19, 2019, and April 2, 2021, respectively. 2021 seems a long way off, but hopefully production will keep in line with the schedule. Diesel teased "Fast 8" for a little while before it was finally confirmed in October that it would definitely be happening. "Straight Outta Compton" director F. Gary Gray is taking charge on the next installment, announcing the news on social media. "I could not have asked for better partners than Vin Diesel, Neal H. Moritz, & the Universal Studios Entertainment family," he posted. "Together we are excited to bring you the next chapter in the Fast &Furious saga. #FastFamily." She continued, "But for us as a cast, I think we need a reason and it needs to have heart, so hopefully we'll find it, you know? And somebody who's passionate about directing it – I think that's the most important thing is finding a good director." Diesel promised to "deliver one last trilogy to end saga" in a September Facebook post, but if these three turn out to be as successful as all of the others, maybe, just maybe, they'll keep on going. PHOTOS: Look back at "Furious 7"